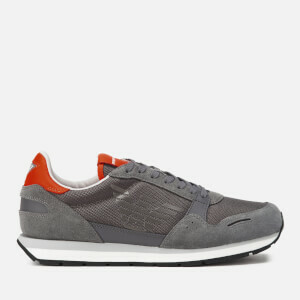 Striking two tone low top trainers from Parisian fashion house, KENZO. 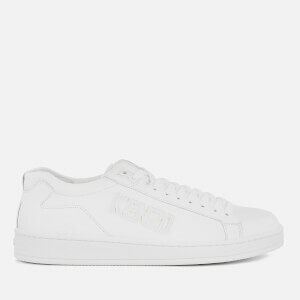 Crafted from smooth white leather, the ‘Tennix’ sneakers are designed with contrasting black leather on the heel, a classic lace fastening and a silicone KENZO logo on the vamp. The trainers sit on a semi-flexible white and black rubber sole with an embossed logo on the heel.